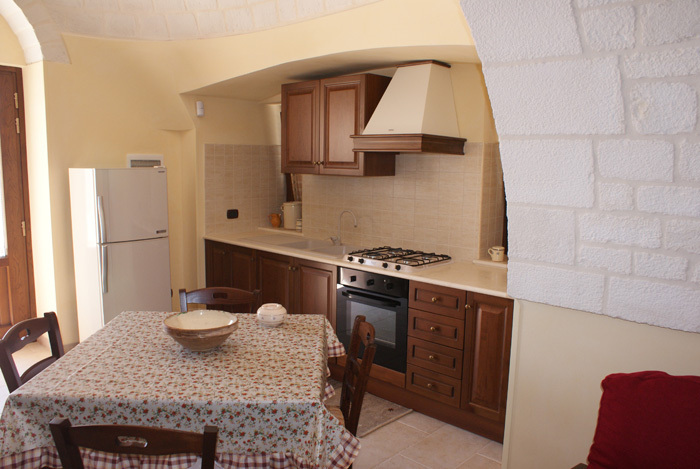 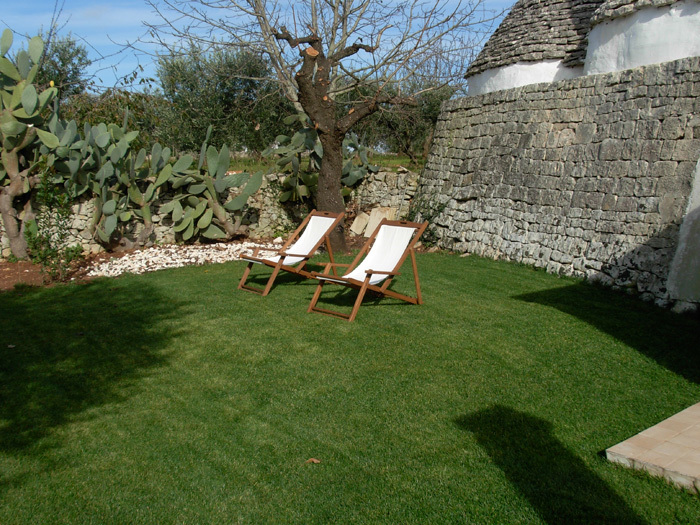 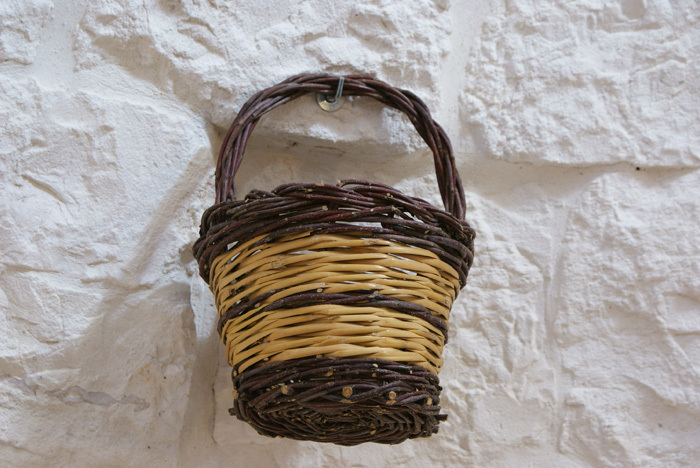 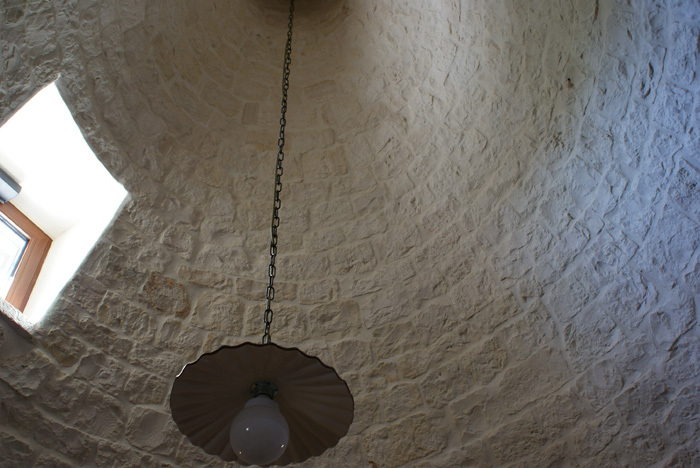 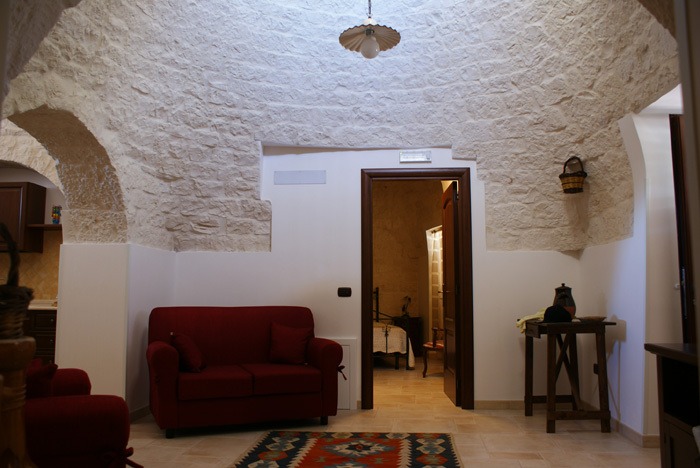 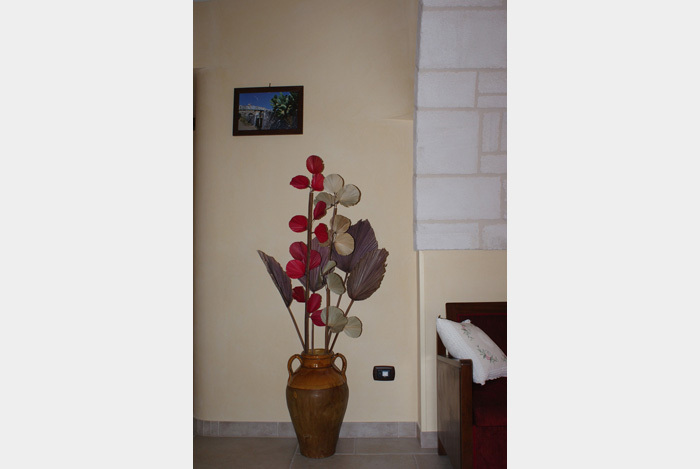 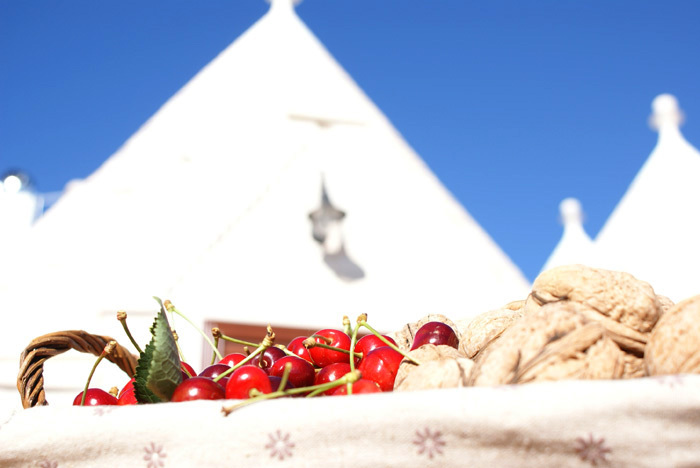 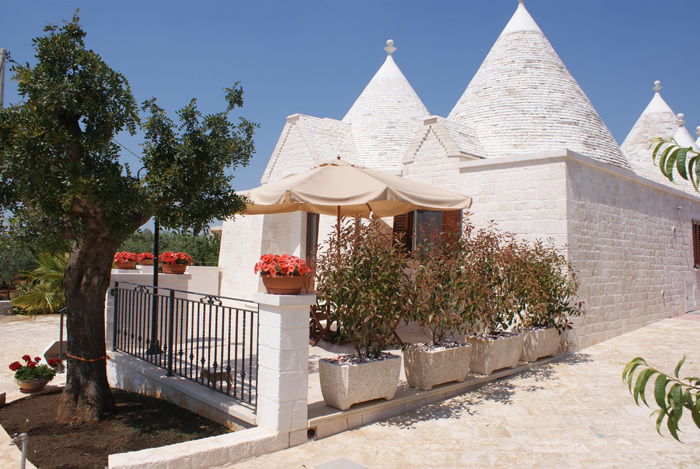 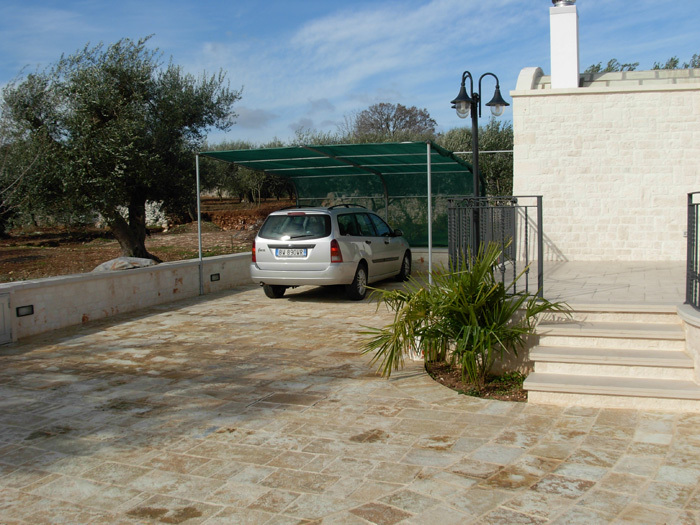 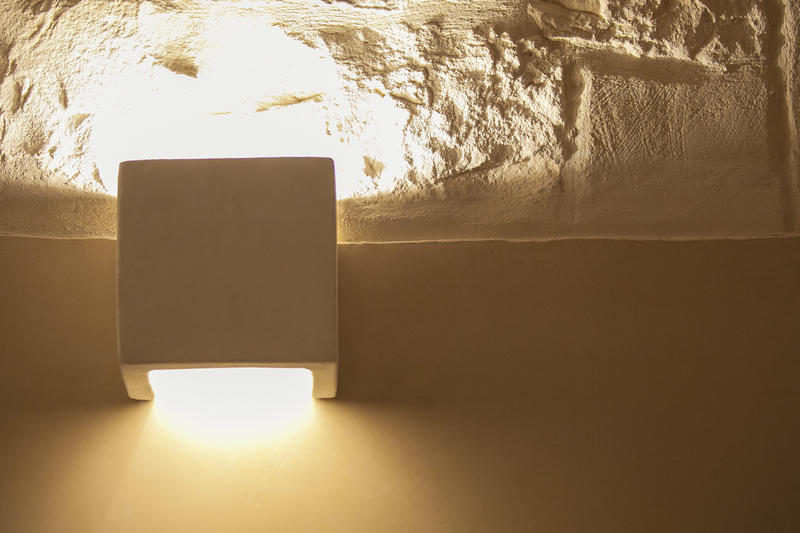 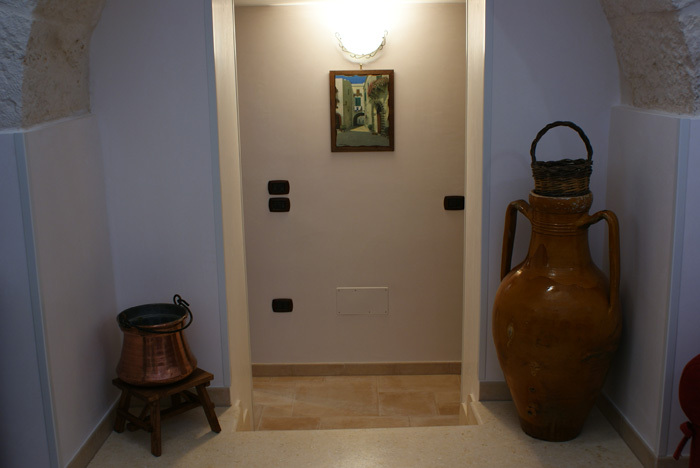 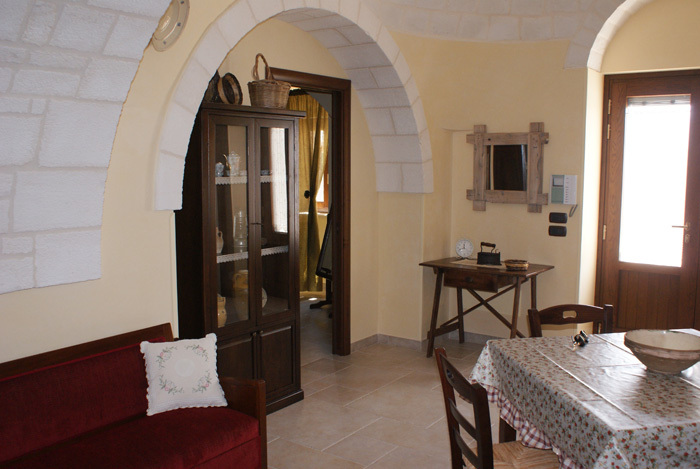 Il Calàscione is a trulli complex dating back to the early 1900′s. 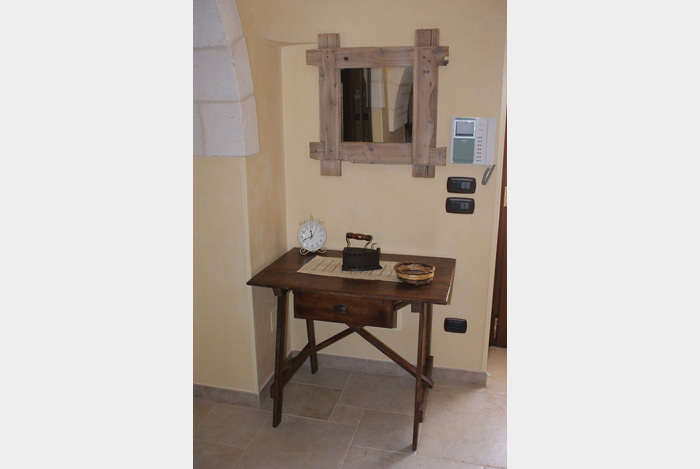 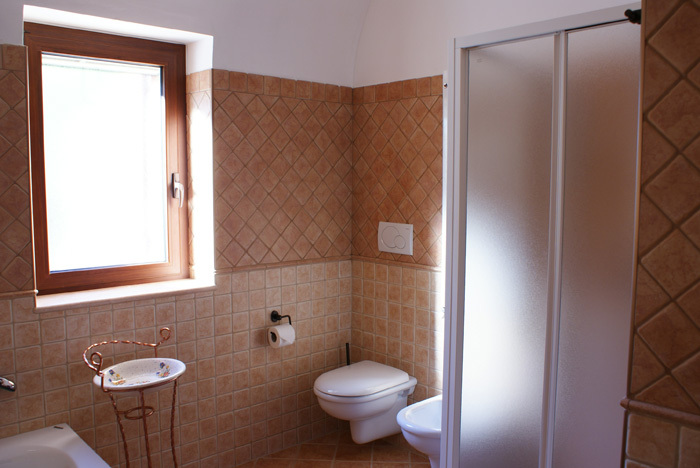 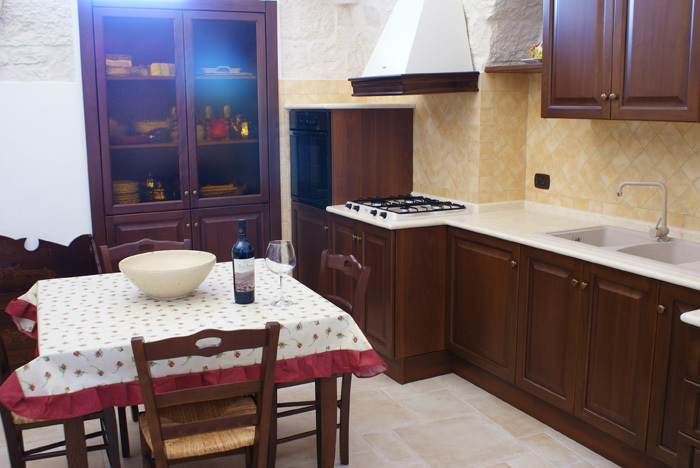 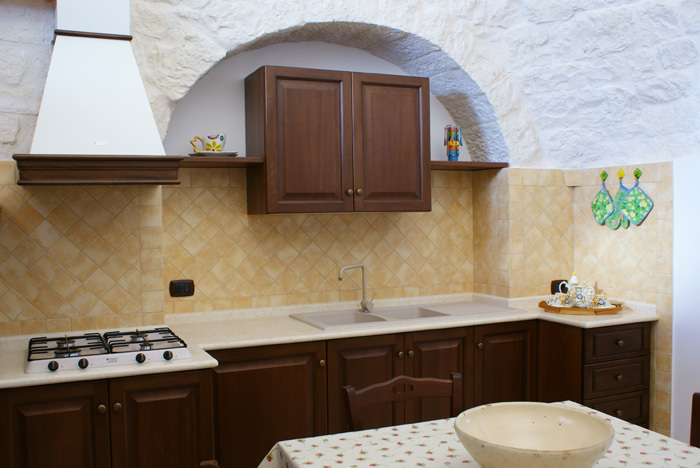 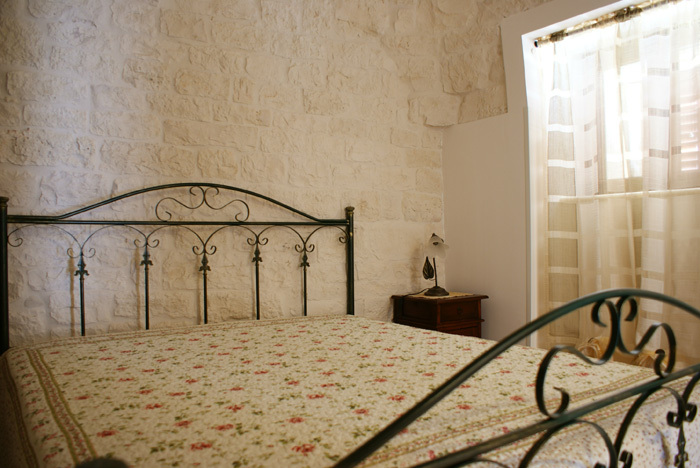 It offers 3 separate units (Cupido, Olivo, Maresciallo) and it is located just outside Locorotondo, awarded one of the most beautiful villages of Italy. 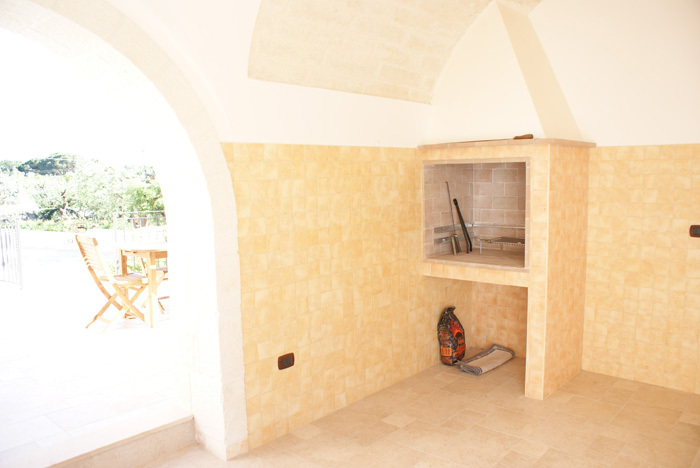 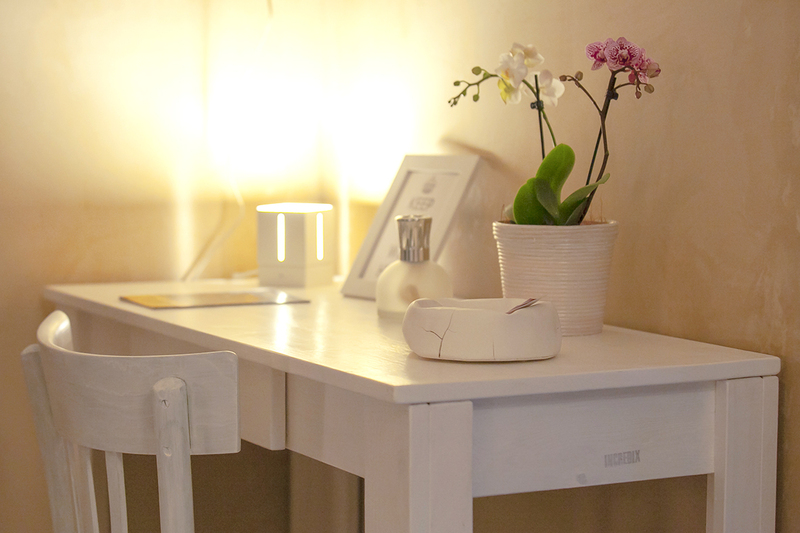 Apartments come with a private garden with patio, wooden furnishings and a seating/dining area. 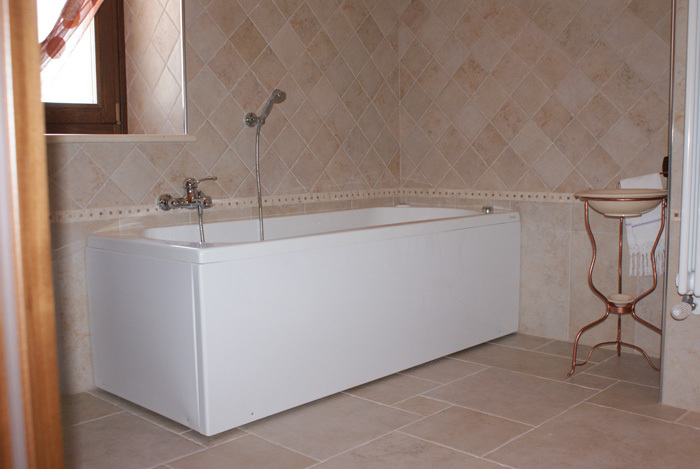 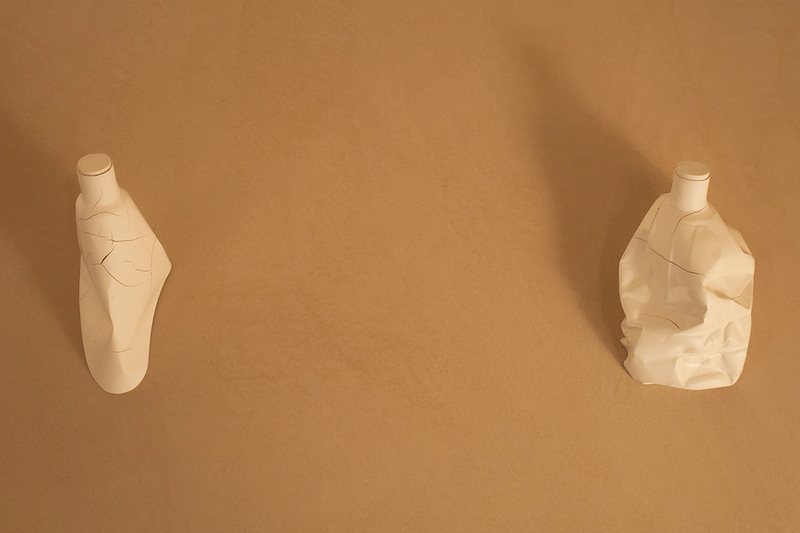 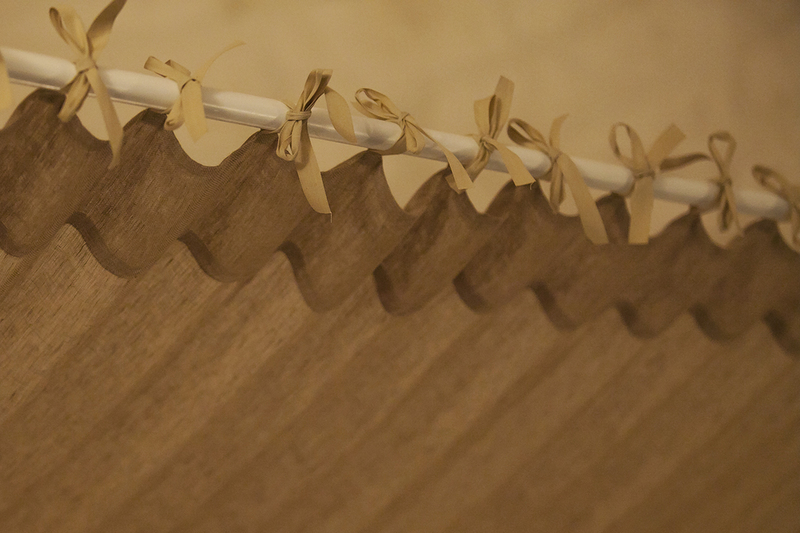 Some have a fireplace, while others feature a spa bath. 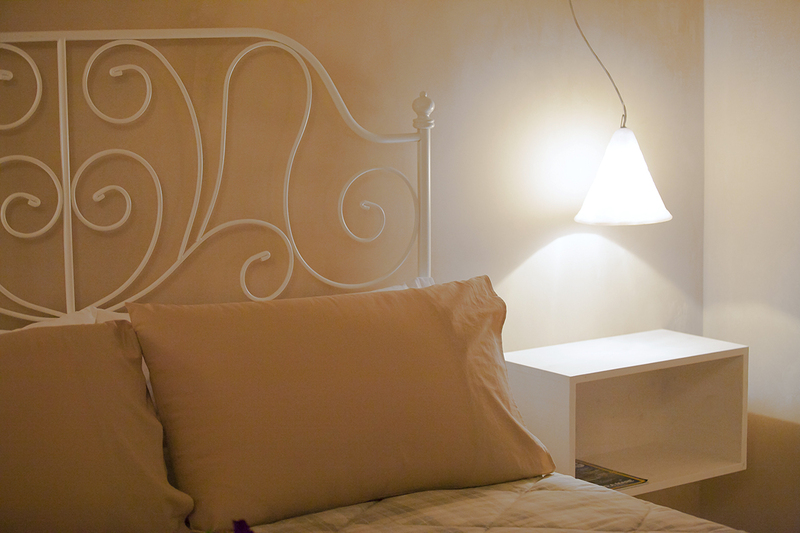 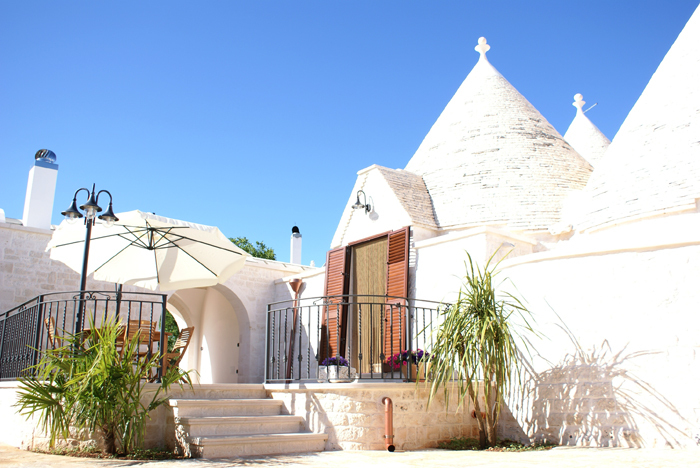 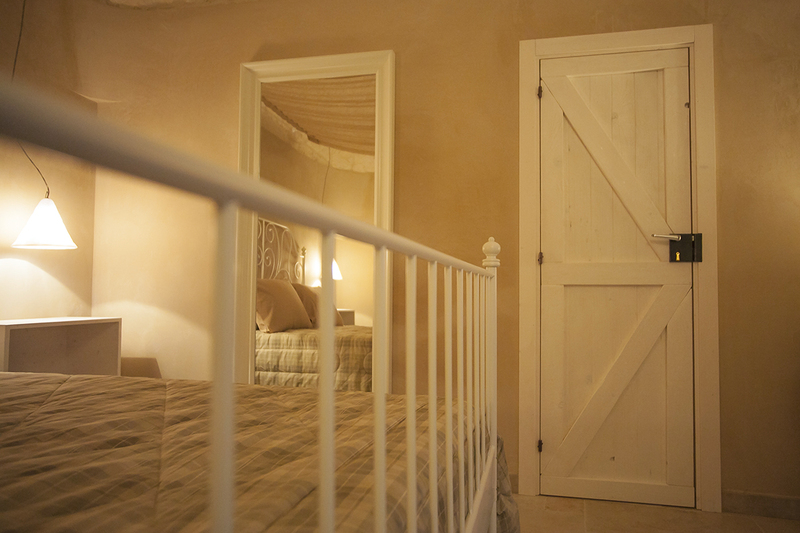 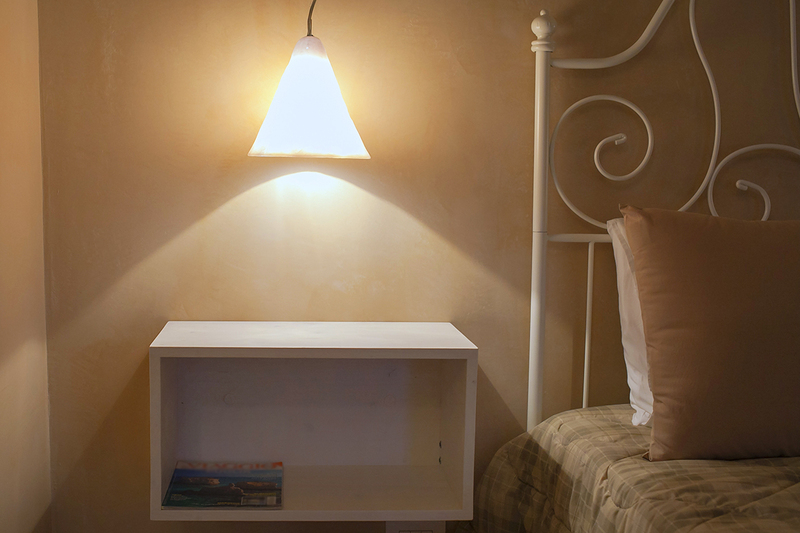 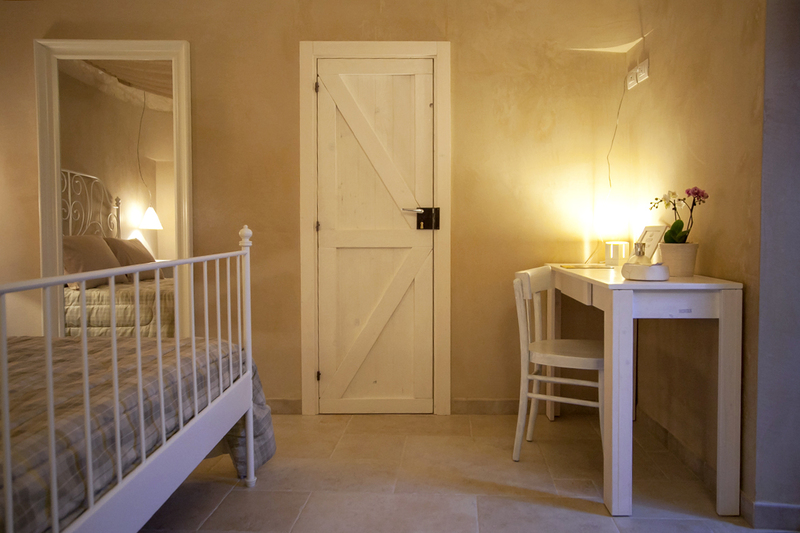 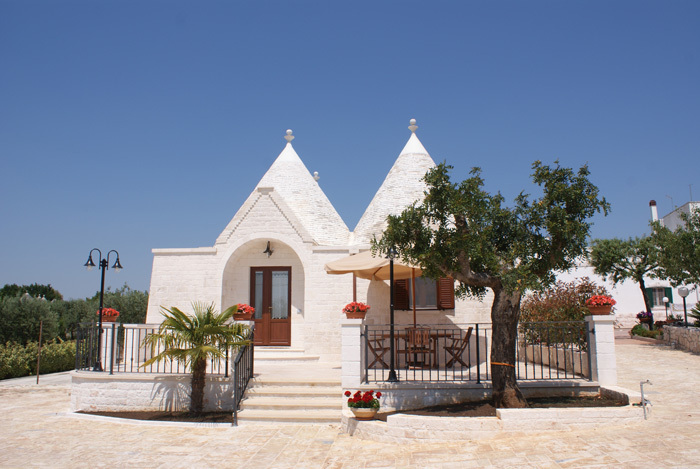 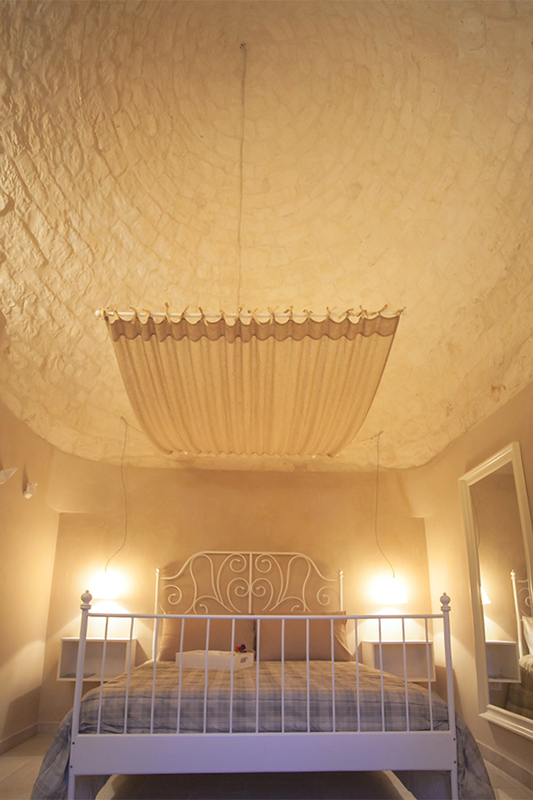 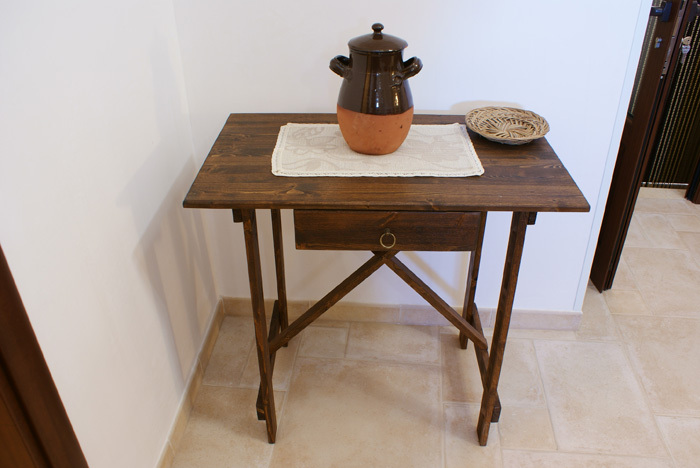 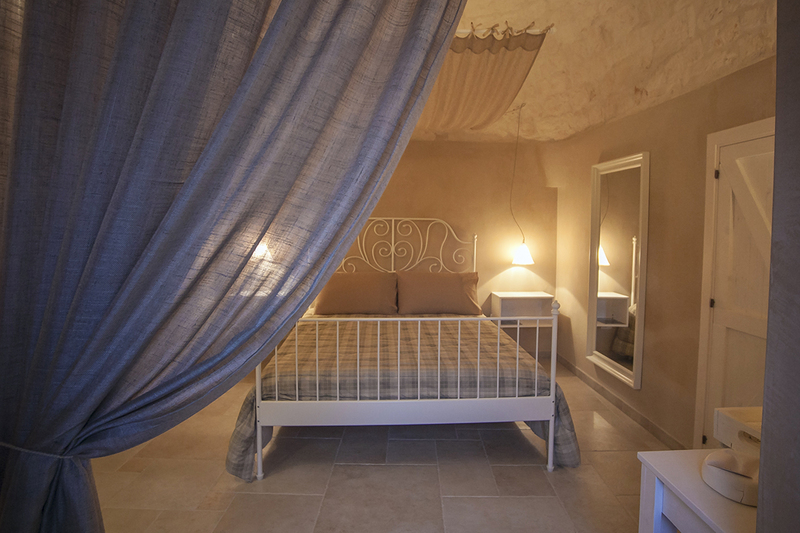 Cupido, the romantic Junior Suite, set in a typical Trullo dwelling, has been beautifully furnished using recycled materials. 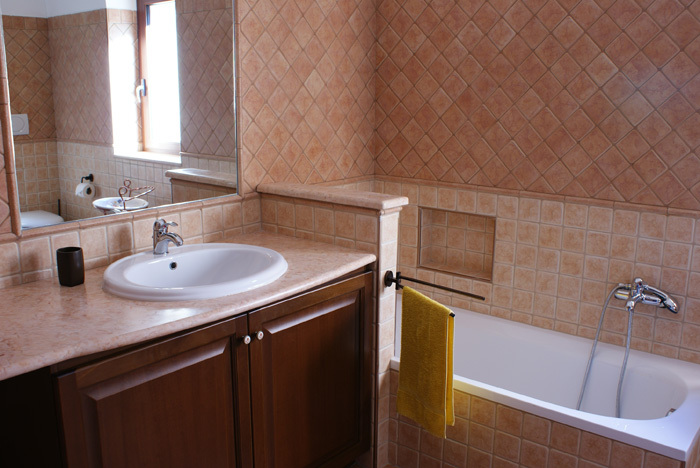 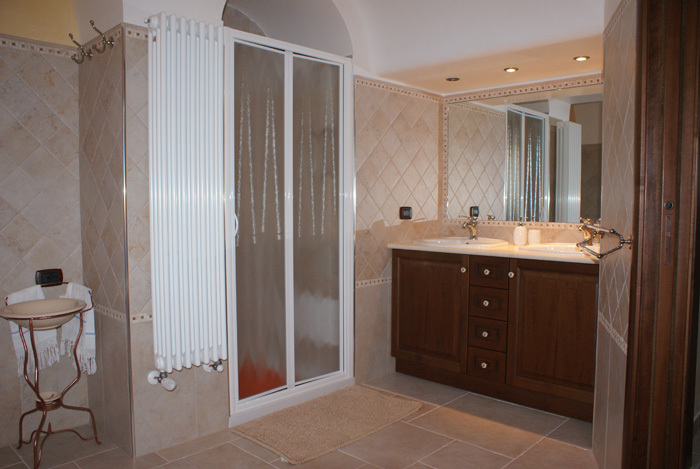 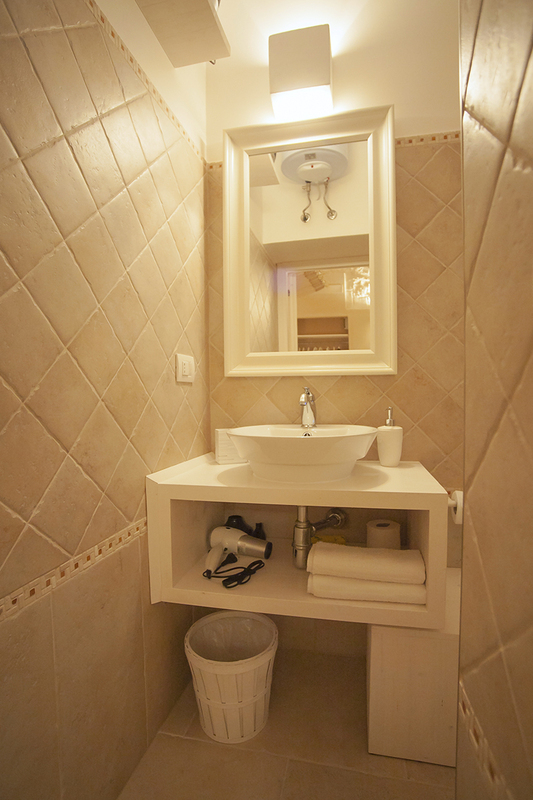 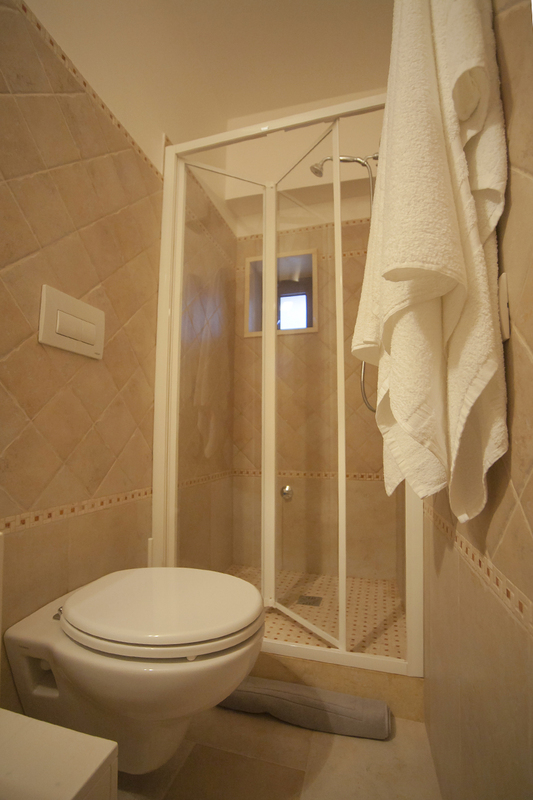 It has a small private bathroom with shower and a private outdoor area. 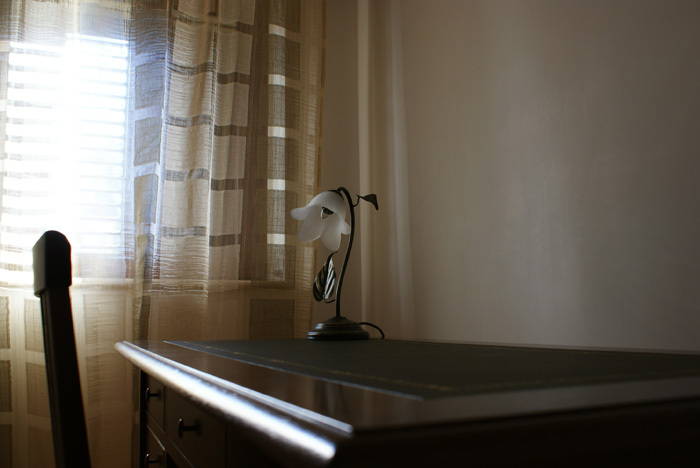 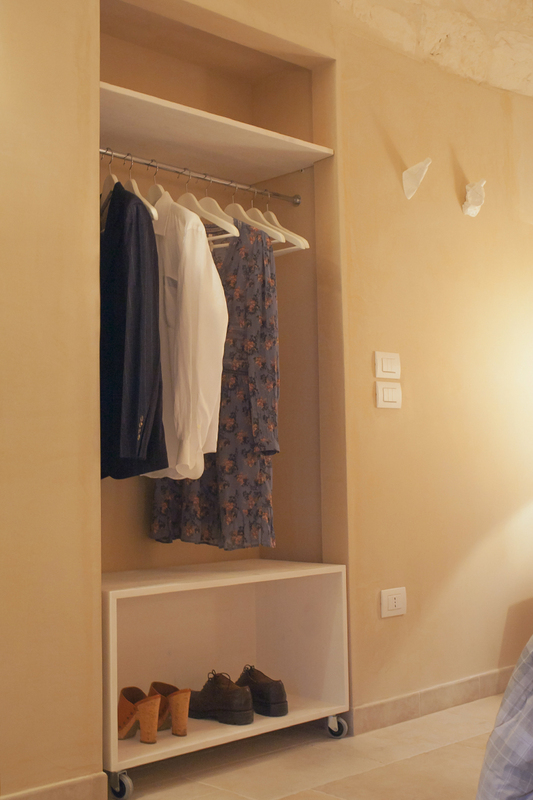 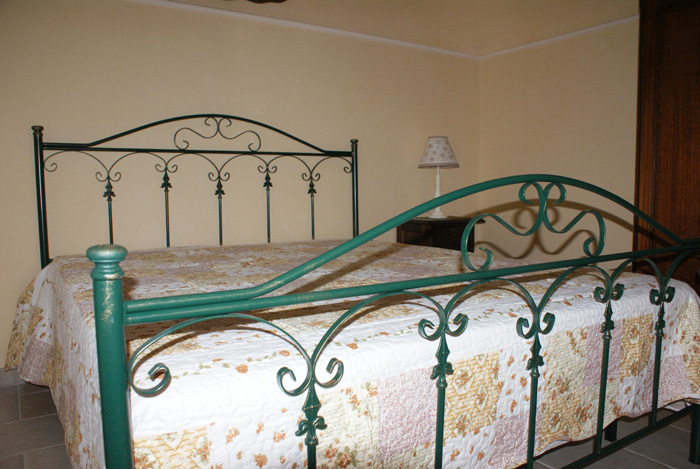 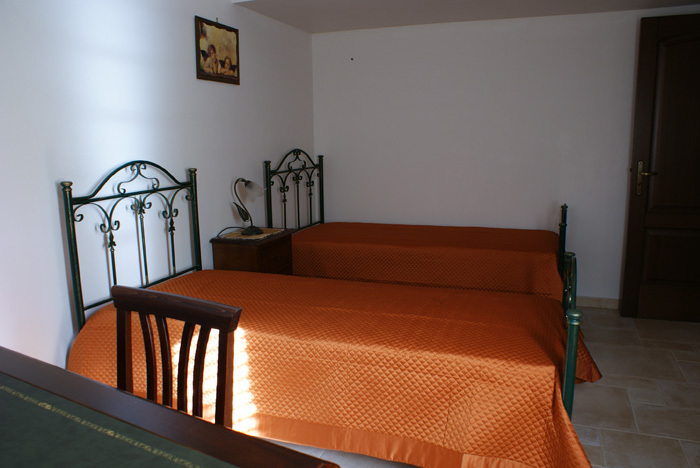 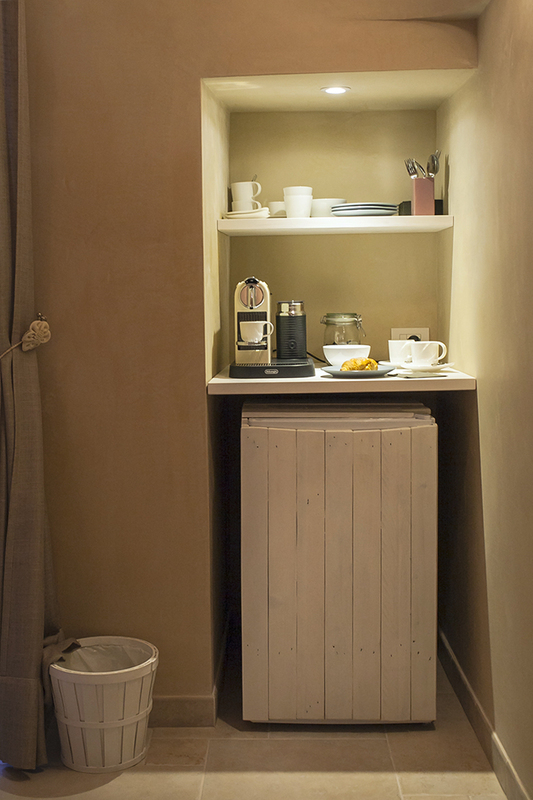 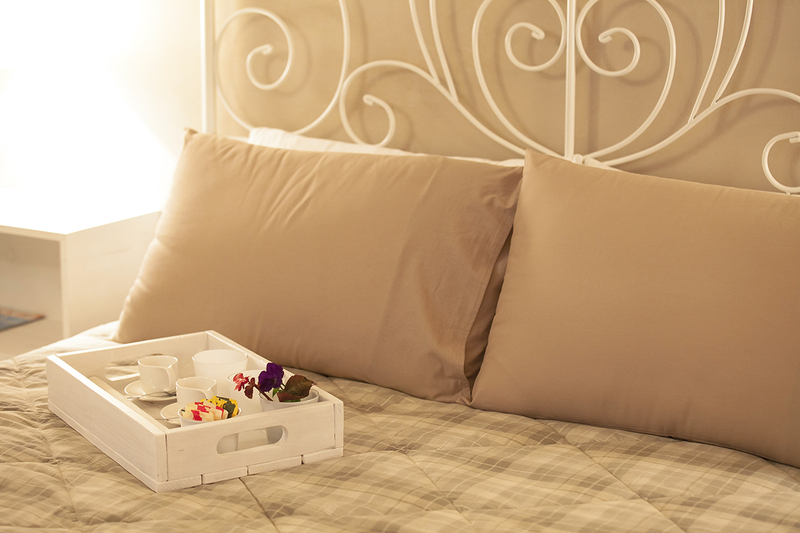 Olivo is an apartment with two covered parking spaces, 2 double rooms (one can be equipped with two single beds) with an extra bed or a cot available; bathroom with shower, bath, fluffy towels and bathrobes; fully equipped kitchen; fireplace and living room. 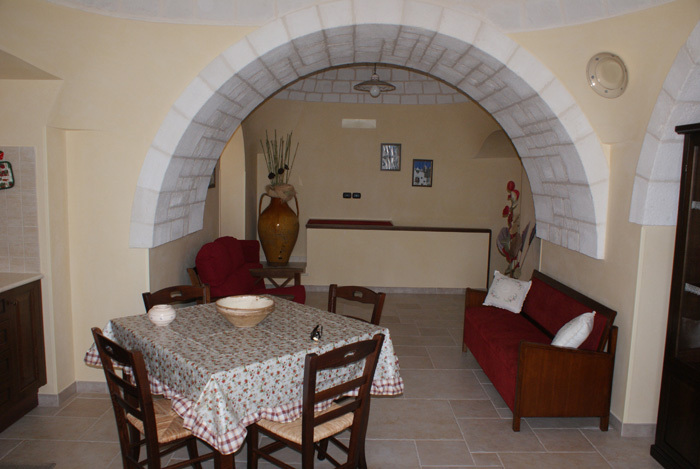 This villa also offers a veranda with a big sun umbrella and a table for your summer meals, a wooden oven and a back garden. 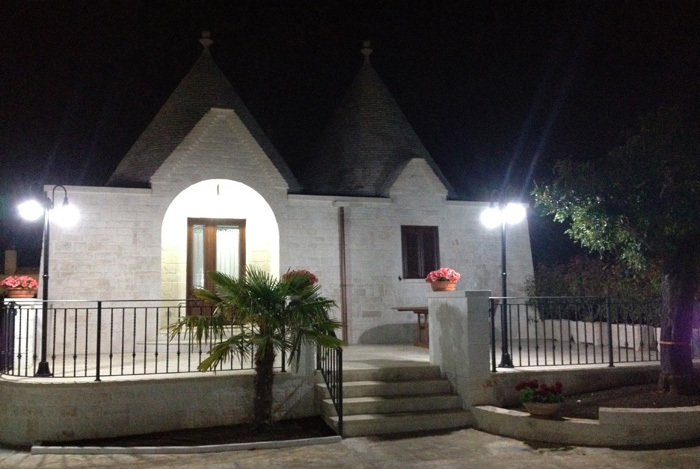 Maresciallo is the biggest villa at Il Calàscione. 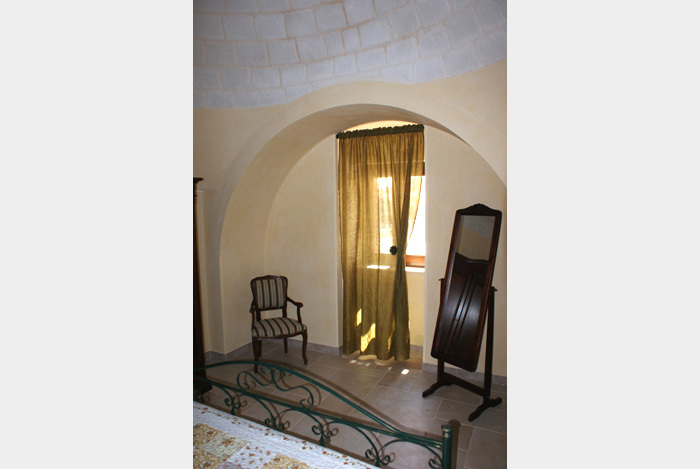 It has covered parking spaces; a veranda to dine al fresco or sunbath in total relaxation; a fully equipped kitchen; a living room; a double room, a single room, a third room with king size bed; a bathroom with stone shower, jacuzzi, double sink, towels and bathrobes; a front garden.